"WE MAKE YOUR DREAM WEDDING A REALITY!" Over 1,000+ completely Satisfied Customers & Counting! Getting married!! Congratulations for the biggest moment of your life. It’s no secret that wedding stands as the most memorable occasion for every couple. StarWeddings will give you the luxury to relax and enjoy the months leading to your wedding while we attend every last detail of it . StarWeddings will transfer the process of planning your wedding into a fun, creative and stress-free experience. We will assist you in describing your kind of wedding story for the perfect you.! 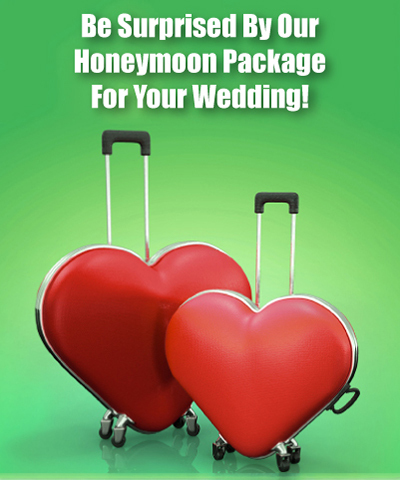 Complete Wedding Services for the perfect couple! "FAIRYTALE WEDDINGS ARE NO LONGER FAIRYTALES!" Just engaged? Congratulations! Planning a wedding is no piece of cake. Don’t break a sweat and leave it all to us to plan your wedding exactly how you want it. Be tension free and concentrate only on how you will look on your wedding day! We believe weddings deserve to be planned with the most meticulous of details. Custom made to suit your needs; we plan the most economical weddings. From traditional weddings to theme weddings, every wedding we plan is unique and designed to suit your taste. Our planners and designers listen to your ideas and think of the best ways to translate them into reality. 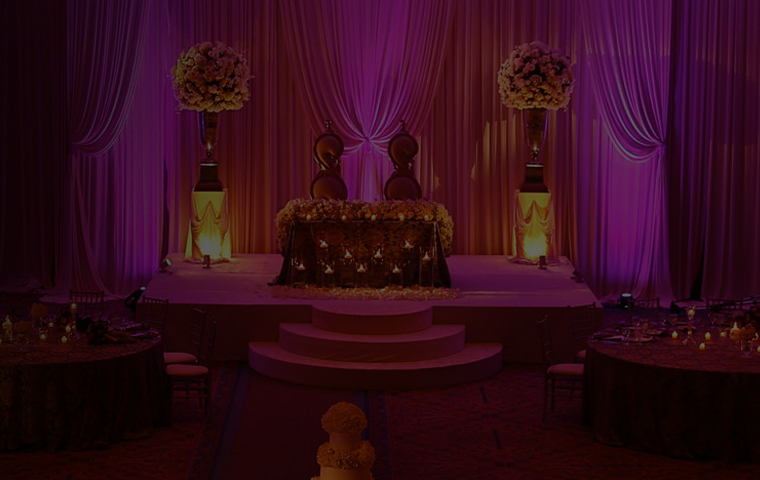 Each theme idea is researched and presented to you duly taking into account your wishes budget! 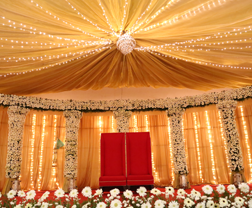 Traditional & themed weddings you deserve from StarWeddings, Chennai! Allow us to make your dream a reality! We plan so you can relax! Call us at +9198408 44817 to know more details! A wedding becomes even more classy and elegant if a certain theme is employed. Ten years before, theme weddings in India were literally unheard of but now, the concept is gaining popularity in recent times. Elegant themes can give a rich cultured look to your wedding and then there are also modern wedding themes which can look simple yet astonishingly beautiful. A theme can give you the difference between a fun and a dull wedding. 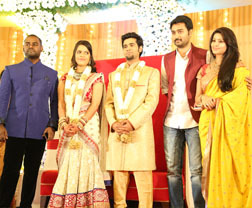 A themed wedding is certainly better than a wedding which has employed no themes. Our team of coordinators and planners can help you select the theme of your choice and help you step by step throughout the wedding..
Do you agree that every guest has a secret craving for amazing appetizing food menu in the wedding? Of course, Indian cuisine is the one rich in flavor, spices and regional varieties. The happiest moment of one’s life has to be definitely their wedding day. And what better way is there to preserve those memories than to photograph them? Wedding Photographs are fun to look at and looking back at them after 10 years would definitely be emotional and a happy moment. Wedding Photography has become an art since it involves a lot of spontaneous and candid shots and the wedding photographer has to be adept in photographing the mixed emotions a wedding usually contains. Imagine receiving your wedding album after a week and the photographs are shaky, blurred and out of focus. It is true that Music and Dance is the language of the universe. It can speak with anyone and evoke emotions and truly leave a lasting effect on everyone who is a part of it. Music in any form can be overwhelming and an extraordinary experience. Be it a Beethoven’s Moonlight Sonata or Ilaiyaraja’s melody, music is a powerful emotion nonetheless. 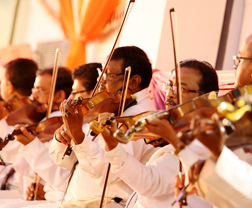 Music elevates the mood and feel of every wedding. It could also serve the purpose of keeping your guests engaged throughout the wedding. Not only music, dance can also make a profound impact during your wedding. 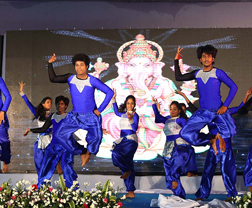 Music and Dance are elegant in nature and can bring out a lot of emotions. Mangala Vadhyam is an integral part to every Indian Hindu traditional wedding. 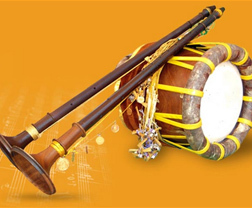 The sound of the Nadaswaram instrument sends a soothing note to our ears and creates a comfortable atmosphere among the guests. 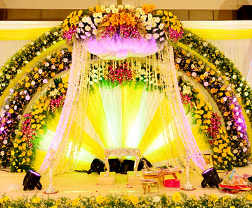 Also, Mangala Vadhyam creates the feel of a Traditional Indian Wedding with minimal effort. The music suits the mood of the wedding perfectly. 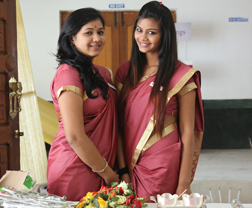 Guests coming in a state of hurry are made comfortable with Mangala Vadhyam. The wedding would be incomplete without it and something would be aloof and missing. Guests and relatives are used to hearing Mangala Vadhyam at every wedding and if your wedding doesn’t have a Mangala Vadhyam performance, it would seem a little odd. Every Traditional wedding would involve the exchange of gifts from both the bride and the groom’s side. These gifts are a token of love and appreciation from each other and it is often seen as a sacred ritual in all Indian Traditional weddings. Seer has become indispensible in every wedding and it would be hard to find a wedding which does not employ the concept of seer. A month before the wedding and both sides of the couple would be busy in selecting the items to fulfill the seer list. It has become more of a ceremony and a gesture of goodwill and kindness. The family of the bride welcomes the groom and his family by performing Aarthi at the entrance of the wedding venue. Aarthi is a sacred Hindu ritual and is performed during a wedding mainly to remove the negative vibes sent by other people on seeing the bride. 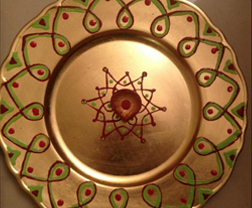 The process of Aarthi is usually a form of worship where a small fire is made from camphor and placed on a plate which also has butter. It is a traditional Hindu ceremony and more of a sacred ritual. It is offered in many temples as a gesture of respect and reverence to deities. Every wedding has to have some sort of entertainment to make it a memorable experience for the couple as well as the guests and relatives in attendance. Entertainment programs can be incorporated during the reception or right after the wedding. StarWeddings provides a variety of entertainment which is both fun as well as interesting and would keep the little kids engaged and satisfied. The program isn’t only for kids and there are a variety of programs for adults as well. Given below is the list of entertainment events offered at StarWeddings. A wedding would have a lot of guests and relatives especially if you are very close with your relative circle. And on the day of your wedding, the guests would be enthusiastic just like you. There would be an overflow of emotions from relatives who would be proud of your marriage and a lot of energy and buzz would usually envelop the entire place. But since it involves a lot of guests, you need at least more than one person to welcome them all. You cannot possibly welcome all the guests on the day of your wedding since you would be busy with getting ready for the big day. A huge thanks to the entire team-we absolutely couldn't have made it possible without you!. Everyone has been complimenting us about the wedding. Thanks again for being such a pleasure to work with on our wedding. All best wishes. We were both very overwhelmed at how amazing our wedding was!. It was nothing less than a fairy tale come true!. It surpassed our expectations. Thank you team StarWeddings for all the efforts, help and support to make the wedding a perfect one!. I wish you all the success for your future! you guys are amazing!. You made my wedding day the best day of my life!. 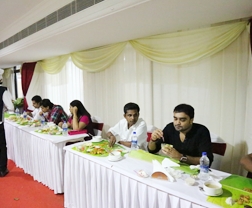 Initially, we were very skeptical about a third party interference in the wedding planning!. But as the wedding planning started you guys made me and my family take a back seat in the wedding planning and relax!. Thank you for making our day the bestest day of our lives!. It was a fairy-tale come true!. Like the one I've always dreamt of!. Right one from day 1 of planning, you were so helpful!. We didn't even know where to begin planning from, but with you knowledge and experience things took a smooth turn. From makeup, to decor, to costumes and to food, your assistance was inevitable!. In addition to the work commitments, we loved the personal touch by your team; the hands on approach and the friendly behaviour made us feel very special!. And finally, a big thanks to all of you for your presence on the wedding day. From the wedding venue, to makeup, to decor, to menus, to photography,... you were our oracle!. On our big day, we didn't have a single problem. You ensured things went smoothly and the wedding experience was stress free for us!. Everything was perfect, down to the smallest details.